Stickers is known as one of Net Entertainment’s “hidden gems”, and while it features 5 reels and 20-paylines, it’s not really caught on as heavily as other titles, including Gonzo’s Quest, Jack and the Beanstalk, Twin Spin, Starburst, and Creature of the Black Lagoon. That said, Stickers is creatively gorgeous and a lot of fun bonus-rounds and features, so it’s well-worth checking out. Playable from as little as 20p a spin, up to £200 per spin, Stickers is suitable for players on all types of budgets, and the musical soundtrack, animations, and graphics are relatively high-quality. Stickers is also available to mobile users, with phones and tables able to run the game without experiencing any problems at all. The game is designed in-line with some other popular Net Entertainment Video Slots, and if you’ve ever played Wonky Wabbits, you’ll likely see some similarities here. While the game background is different, the reels, colours, and overall layout is relatively similar, and while this isn’t a bad thing, it shows a little lack of creativity on Net Entertainment’s part; but who are we to judge – the game’s good fun, and attracts thousands of players, so it must be doing something right. Stickers can also be enjoyed from mobile phones, and if you’re the owner of an iOS, Android, Blackberry, or Windows phone or tablet, you’ll be able to enjoy the high-quality, mobile-optimized version of the game easily, and without errors during gameplay. Stickers doesn’t offer a free-spins round like most Net Entertainment games, and while this initially sounds like bad news, in all honesty, it’s not actually that much of a let-down. Just like other popular Net Entertainment games like Starburst, and Vegas Party without free-spins rounds, Stickers does offer a form of “bonus”, and if it’s your lucky day, you can win a hefty chunk from it. Anytime a wild symbol appears on the reels, it will then transform itself into a sticky wild, which then locks in place, and sticks there, while awarding a free re-spin. 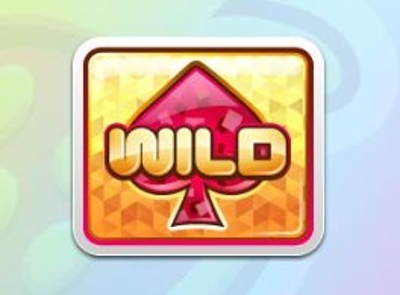 Now, much like Starburst, if you then manage to land a second Sticky Wild – one the second spin – you’ll be awarded yet another free-spins… and land a third one, and you’ll get yet another free-spins. However, the one major difference between Stickers and Starburst, is that Stickers can continue sticking wilds, for as long as they drop. Sure, they’re not expanding-reel wilds, but still, if you can get them in a good position, you can easily make 4-of-a-kind and 5-of-a-kind when you manage to land three, four, or five of them! The re-spins continue until you fail to land a Sticky Wild, and this can sometimes be on the first spin… and sometimes the sixth spin… it’s all completely down to chance. 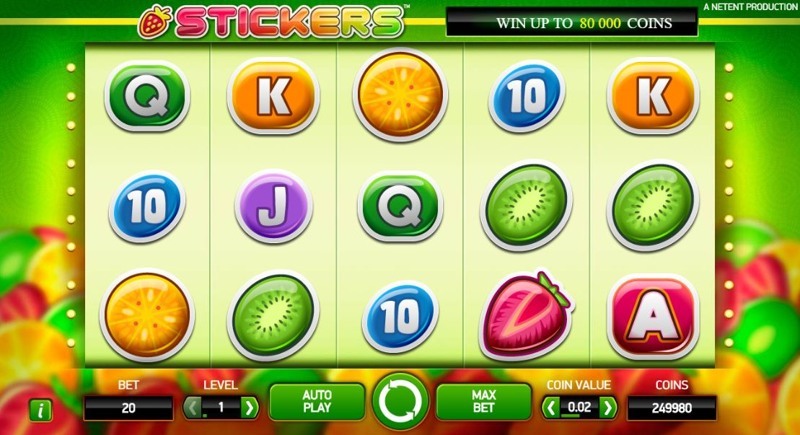 Overall, while Stickers is unlikely to offer the same big wins that other Net Entertainment titles can offer, it’s a friendly, happy, enjoyable game, particularly well-suited to newer players, or those who prefer a less intense slot gaming experience, and it’s well-worth checking out, even if it’s just for a few lucky spins.